Robert Dover on FBW Kennedy. Photos by Susan J. Stickle. Wellington, FL – July 19, 2013 – If you haven’t been to PSdressage.com lately, you may have missed columns with dressage greats like Robert Dover and Tuny Page. You may have overlooked the news that Canadian David Marcus recently debuted his new mount, Don Altena, in Ontario, Canada. Did you see the story about the first medals awarded in dressage at the 2013 Adequan/FEI North American Junior and Young Rider Championships (NAJYRC)? Do you know about the latest styles in tailcoats and boots? She was recently named to USA’s 2013 Nations Cup team to compete in Hickstead, Great Britain, at the Furusiyya FEI Nations Cup at the Longines Royal International Horse Show July 30 – Aug.4. Dover, a six-time Olympic athlete, has organized a unified roadmap for all levels of U.S. dressage competitors, from pony riders to high-performance riders. Read about Canadian Olympic athlete David Marcus who debuted his new ride, Don Althena, at the CornerStone Summer Festival held July 12 to 14 at the Caledon Equestrian Park in Palgrave, Ontario. Catch up on the latest news at the Kentucky NAJYRC. Learn about the latest in dressage fashion from resident fashionista and Grand Prix rider Silvia Rizzo from Italy. It’s all on Psdressage.com – and more. 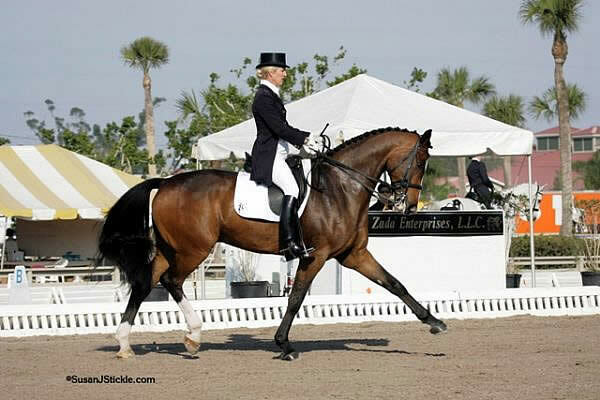 PSdressage.com, launched by Phelps Media Group International of Wellington, FL, is the Internet’s newest and freshest dressage and equestrian news website. PSdressage.com is the go-to spot for free, up-to-the-minute coverage of what’s happening in the dressage world as well as the gateway to creative reporting and thought-provoking commentary. PSdressage.com offers equestrians and fans of equestrian sports a single web address for the latest breaking news in the discipline of dressage. PSdressage.com delivers show results, reports, features, columns and interviews with some of the most respected names in dressage. Visit PSdressage.com today to see what’s happening in dressage. And don’t forget to like us on Facebook and turn to Twitter @PSDressage for live updates.